Interested in transferring your experience as a child caregiver into a professional business? Creating your own child-care franchise is not as intricate as it may sound. Like any business, it requires hard work in order to successfully grow over time. With the proper experience and research, starting a child-care business can be achieved successfully. First off, researching the areas that require child-care the most is the first thing a person should look for when wanting to start a business of this kind. Studying the census, analyzing how many working parents there are in different regions and how many kids they have is a great start. In addition, ensuring these working parents have age appropriate children for child-care is imperative. Find out if top employers in the area offer childcare wellness benefits. Using this data, a person wishing to pursue this must target the areas where their service is required the most. The first place you want to look for solutions after researching the child care franchise market is obviously the top child care franchise options available. Here are the top ranked childcare franchises that you may wish to consider for your next business venture. These three companies are the top child care franchises available for purchase. Remember to keep in mind your business budget, as the best franchises often cost the most, just as is the case with online business. As long as you know your financial health and other personal preferences, consider one of the best childcare franchises as your next business venture. Secondly, locate the business in far enough range from a current existing child care business. Analyzing existing child-care facilities in the Hong Kong business market or whatever market you plan to open the business in is good. This informs you to what kind of prices and hours these places are offering to your potential target markets. Of course, you may want to differentiate yourself by offering different hours that may seem more suitable to the working parents. Or, you may also offer price reduction for those who bring more than one child to the facility. Surely, locating your business properly and making yourself stand out will attract customers to your child care franchise. When deciding to pursue the start of the business, hiring the appropriate people is crucial. You need to be able to tell your targeted audience that the people caring for their beloved children are professionally trained to do so. You need to demonstrate that their children will be treated kindly and with respect. In addition, hiring a nurse practitioner may also be a bonus. After all, having someone who has medical training will provide reassurance to parents who stress over their child’s welfare and health. You may also want to invest in a marketing professional once you understand the vast internet marketing benefits it makes available to you. But that is something to worry about later. Another important factor to consider when wishing to pursue this business is planning how to organize it and how much it will cost. You do not have to worry about how to invent something, but you do need to worry about how to manage finances. Keeping a budget and recording all the purchases you make will help keep you organized as well as your business stable. If you decide to rent an area, you have to take into consideration that you will be spending on rent and other bills. Keeping a budget allows you to recognize at the end of each month how much you are earning after paying for all your business’ expenses. Do you make enough to keep yourself afloat? If you have problems in this department, consider altering the facility’s price range or even the theme. Make it appealing and fun for the children, because they will be the ones imploring to be taken to your business rather than to the competition. It can be difficult to reach success, even when you have the added benefit of being a child care franchise with access to additional resources for determining financial definition for business. However, one thing that can definitely improve your business’s staying power is the parents of the children you care for. Ask parents to evaluate your child care center at frequent intervals. This customer feedback will help you identify areas of business in need of improvement. This is certain to improve the longevity of your business success. Make sure you do this when you finally open your child care franchise location. 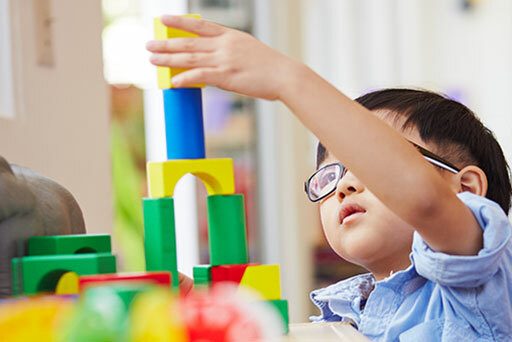 Once you achieve all the goals for a successful business, it will only be a matter of time before you are able to expand your child-care’s facility into other regions. After all, if a business shows to benefit society’s needs, then there will be more people wishing to obtain the services you are offering.